There are a number of regulatory developments that have affected or may affect fund distribution in the future. The ICAV, a new corporate vehicle designed for Irish investment funds, now sits alongside the public limited company (plc). It provides a tailormade corporate fund vehicle for both UCITS and AIFs. The ICAV allows a new form of corporate vehicle for funds whose purpose is to minimise the administrative complexity and cost of establishing and maintaining collective investment schemes in Ireland. As a bespoke piece of legislation, it was drafted with the specific needs of investment funds in mind, and will have the advantage that it will not be impacted by amendments to certain pieces of company legislation that are targeted at trading companies. 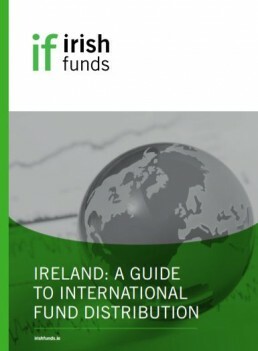 The legislation also includes a mechanism for non-Irish investment companies to migrate into Ireland and become an ICAV as part of a single process. The new vehicle now sits alongside Unit Trust, the Common Contractual Fund and the Investment Limited Partnership as existing set-up options, while an additional benefit includes the ability to elect “check the box” classification for US investors. UCITS IV introduced some improvement on the fund notification process. There is now a streamlined procedure for regulator to regulator notifications. Despite the improvements regarding the time to market, entry to certain countries is still difficult due to low harmonisation of local marketing rules. The Packages Retail and Insurance Based Investment Products (PRIIPS) legislation is expected to see the UCITS Key Investor Information Document (KIID) phased out and replaced with a new Key Information Document (KID) for all so-called PRIIPs products, which include UCITS funds, unit linked life insurance products and structured products. Under the proposals, a new KIID would be introduced removing the UCITS exemption - a measure that would create a level playing field between UCITS funds and other investment products. The new three page document will include basic information about the product, its expected risk and return and the overall cost of the investments. The PRIPPs KID came into effect in January 2018. MiFID II has set to impact on asset managers’ distribution practices by introducing a ban on inducements for independent financial advisers across Europe. Firms need to ensure they have clearly defined target markets when they design new products and they must ensure these products are distributed only to that intended market. The proposed effective ban on most inducements, including commissions and rebates, for independent advisors will force many in the market to rethink their business model and how their funds are distributed. It is still permitted to have inducements for non-independent advisors but they have to be clearly disclosed and any costs to clients must enhance the service they are provided. Product governance requirements have been extended; asset managers, when creating a product, must put in place a formalised approval process and must ensure that the product meets the needs of a specific target market while being distributed through the appropriate channels in order to reach that segment. For more than a quarter of a century, Ireland has been a leading regulated domicile for internationally distributed investment funds.